It’s hard for me to stop or slow down, but it’s important. Your muscles will never get bigger if you work out all the time with no rest. I feel like it’s the same with your mind. You need recovery. 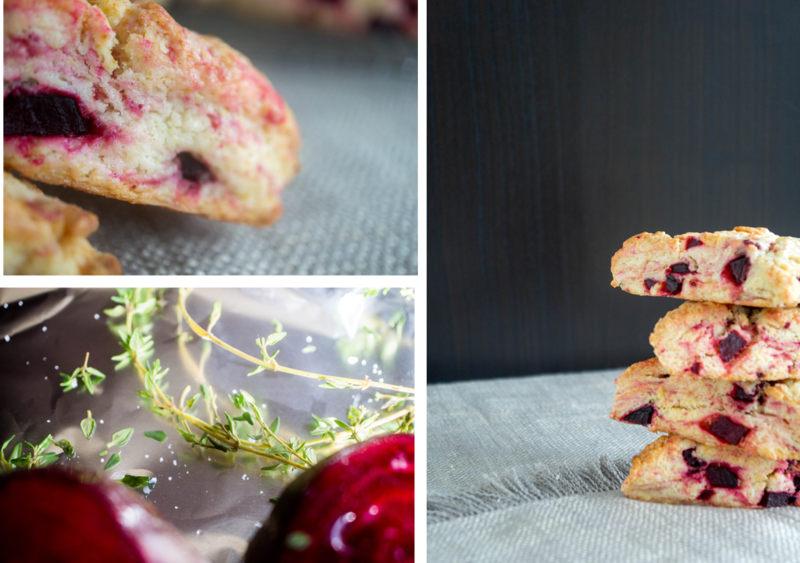 Beets can help us slow down in the kitchen. Wrap them in some foil with a little bit of water and put them in the oven for an hour. That’s one hour where there is nothing to do. And our patience will be rewarded with a dark red sweetness. Maybe I’ll just roast some more beets. Sift together flour, sugar, baking powder, and salt in a large bowl. Cut butter into flour mixture using a pastry cutter or your fingers until the mixture resembles coarse crumbs. Mix in beets and chopped thyme. In a small bowl, whisk egg yolks with heavy cream. Pour into flour mixture along with crumbled goat cheese and stir until the mixture forms a shaggy dough. Knead with your hands until the dough comes together. Do not knead too much; you want the mixture just together. 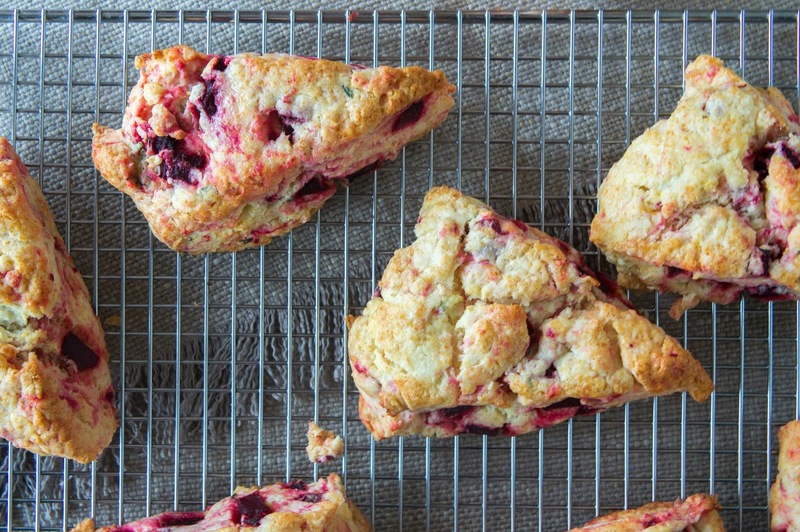 Brush heavy cream all over the tops of the scone triangles. 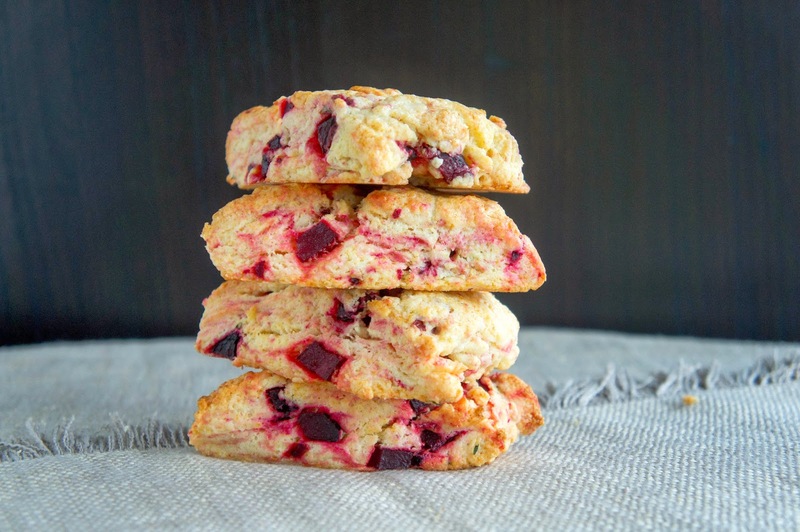 Bake scones in the lower third of the oven for 18-23 minutes or until golden-brown all over. Let cool on a rack. Enjoy on their own or as a side with some soup. Preheat oven to 400F. Wash beets and cut off the ends. Place on a double layer of foil. Sprinkle with salt, a little bit of water, and any flavourings you want such as herbs or garlic. Close up the foil package. 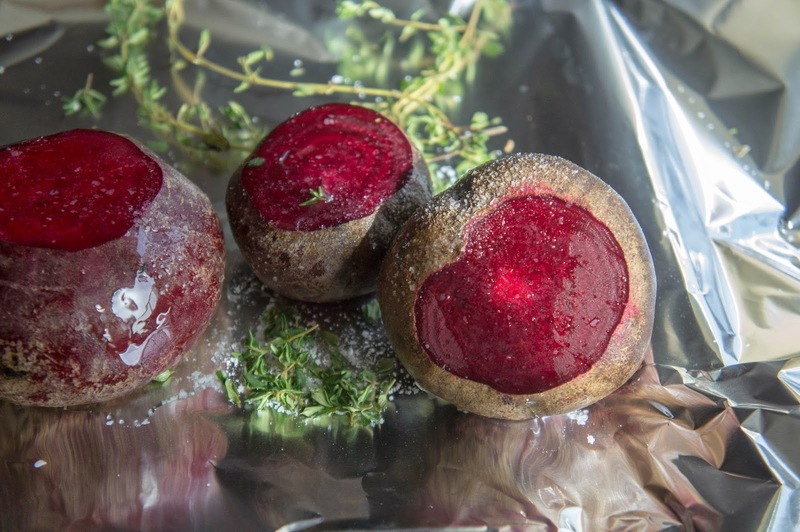 Roast in the middle of the preheated oven for 1 hour or until beets are easily pierced with a fork. Małgosiu, sama to wymyśliłaś? Muszę spróbować. Lubię buraki. This is such a beautiful combination! 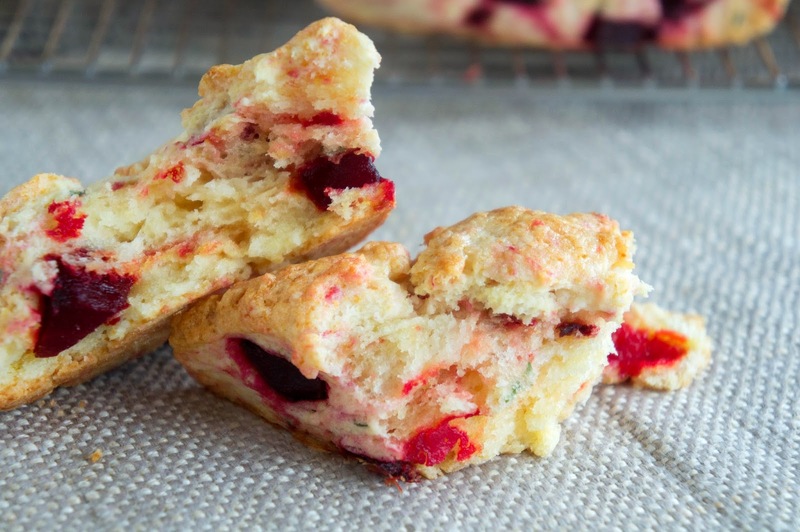 I have to make these next time I have a brunch party or something, delicious.